Murder and dementia didn't slow down in the forties just because everybody else was gettin' sentimental. Two December episodes of one of the top shows in radio noir. 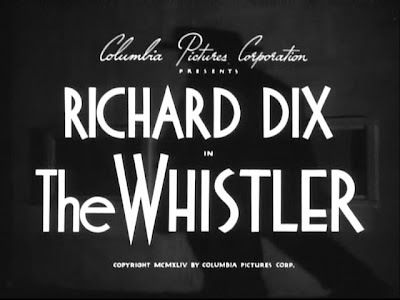 The Whistler Christmas episode number one and number two. 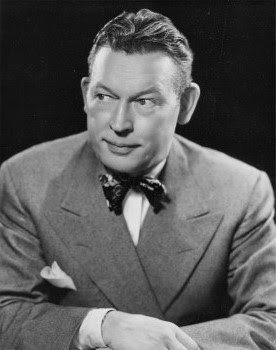 Listen to three Christmas episodes of Fred Allen's various radio shows: Here, here and here. 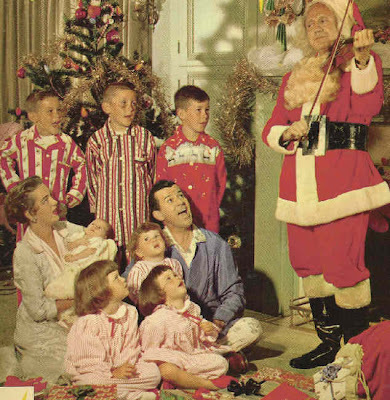 Here's a huge onslaught of Christmas themed episodes of The Jack Benny Show from the thirties, forties and fifties. They're arranged chronilogically. Enjoy! And a clip from the Jack Benny television show with Dennis Day and Richard Deacon. 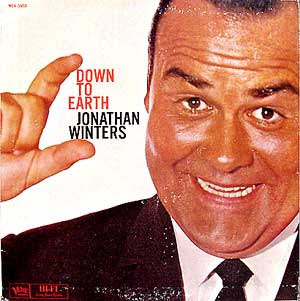 This is easily my favorite episode of the Dragnet radio program. 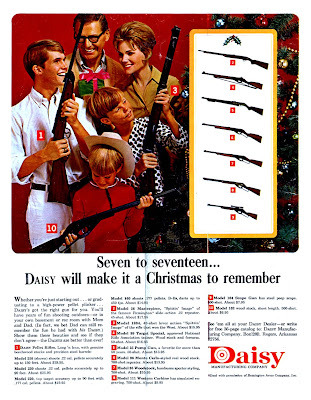 A child is murdered by another child, and Jack Webb's show includes a progressive theme for one time only. Listen to this classic Old Time Radio episode here. This has little to do with Christmas other than it being my present ot you. 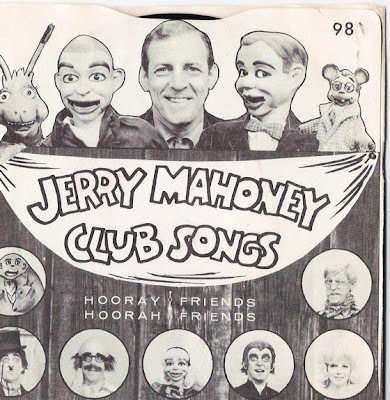 It's also one of Jim Backus' final appearances on television. He was already very sick at this point but his voice is still immaculate. Of course, all of these heroes of sixties television are being moderated by Richard Dawson who came from the same world as a cast member on Hogan's Heroes. Sponsored by FEEL-IP-MORRRR-EEEEEES! Here's the Christmas episode of Uncle Milty's radio program. I'm pretty sure it originally aired in December of '47. Listen to the whole thing here. The Doris Day Show does a take-off on late night talk shows in this episode. 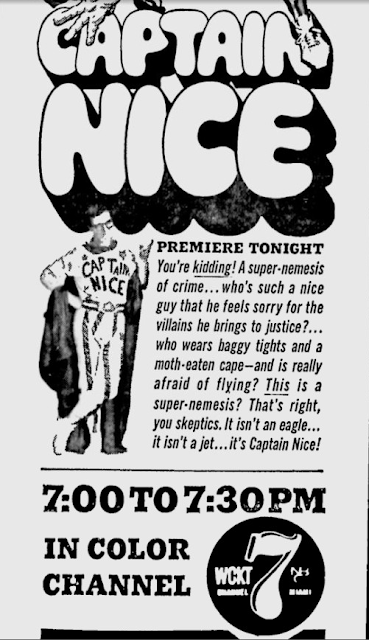 Bob Crane plays a character that is obviously patterned after Jack Paar (although his clothing reflects Johnny Carson) and his producer is a bit of an in-joke, patterned after Tonight Show producer Fred De Cordova. Tina and Ike answer questions from Don Cornelius and members of the audience prior to performing. Really no other way to describe it. 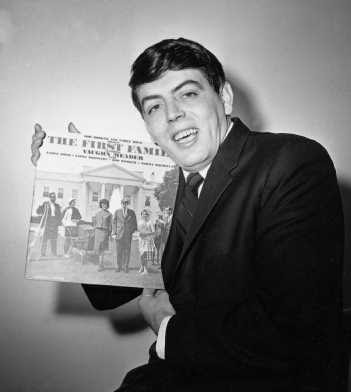 The bumbling Tom Kennedy might be my all time favorite game show host. 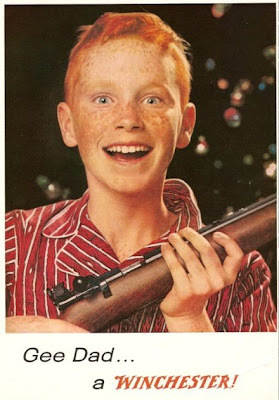 There's something about his face that I just love - he looks like a Jack Davis drawing. And the late sixties are probably my favorite era for game shows as they were still pretty square, but elements of the hip, coke snorting heday of the showbizzy seventies were starting to creep in. 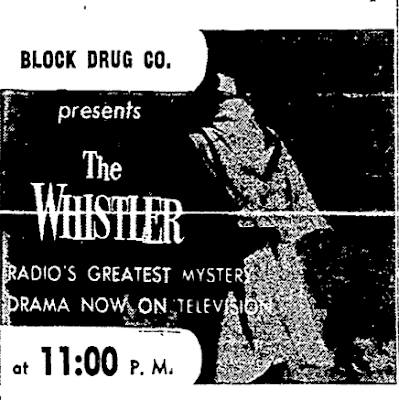 This was Winters' first variety program, a show that was bi-weekly and fifteen minutes in length. Shortly before that famous mental breakdown. Whatever happened to Jimmy Martinez? I've uploaded the classic Verve LP Are You Ready for Phyllis Diller? for yer listening pleasure and bookended it with the two best tracks off her novelty LP Born to Sing, an album that includes Diller's interpretation of The Rolling Stones' Satisfaction. Verve didn't have a lot of comedians under contract but those that they did have were top of the line... and they all recorded a lot of stuff for the label. 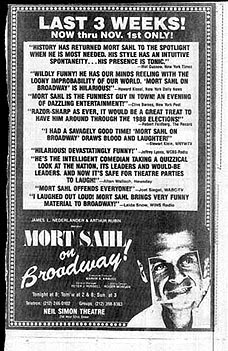 Other than Diller, Verve had Jonathan Winters, Jackie Mason, Shelley Berman and Mort Sahl. Not a bad line-up. 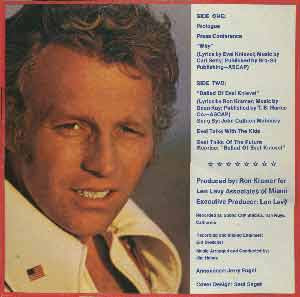 Here's the Diller record. Also watch Phyllis on The Muppet Show in three parts here, here and here. Watch some more Phyllis stand-up from The Flip Wilson Show here and here. 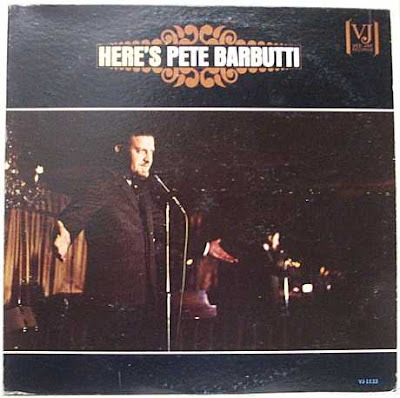 Pete Barbutti was/is an eccentric jazz musician and comedian, known best for his many appearances on The Tonight Show with Johnny Carson. You can watch a couple of those old appearances over here. Barbutti eventually went on to host an absurd syndicated daytime television show called Celebrity Microwaves in the early eighties. 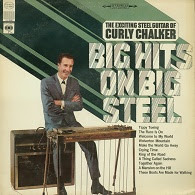 I was going to upload his very funny Decca Records comedy album in its entirety today, titled The Very Funny Side of Pete Barbutti and released in 1967. But then I went to Barbutti's recently revamped website and discovered that the man himself has uploaded the LP in its entirety for free already! 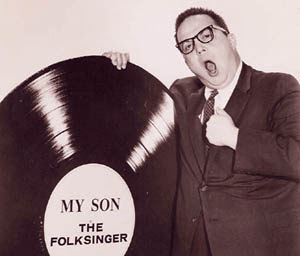 That and his earlier comedy LP on Chicago's VeeJay Records (primarliy the domain of Black R&B, DooWop, and Soul artists). The site immediately greets you with a montage of Tonight Show hosts introducing Pete. 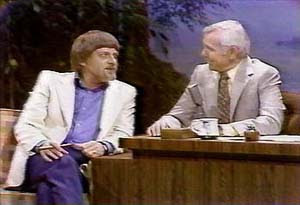 Other than Carson and Leno, you can see him introduced by guest hosts David Brenner, George Carlin, David Letterman, Martin Mull, Bob Newhart, Burt Reynolds and McLean Stevenson. 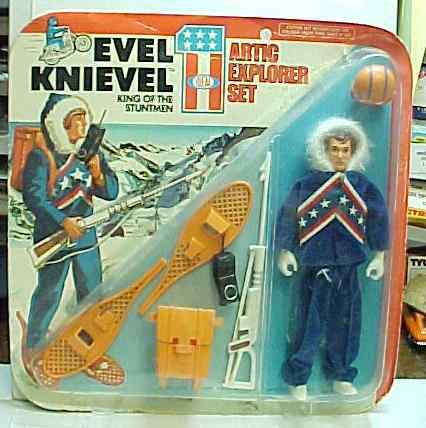 You can also watch several of his television appearances that aren't anywhere else on the internet. That's all over here. Captain Nice is the best of today's neglected sitcom offerings, and that probably has more than a little to do with the script from Mr. Buck Henry. 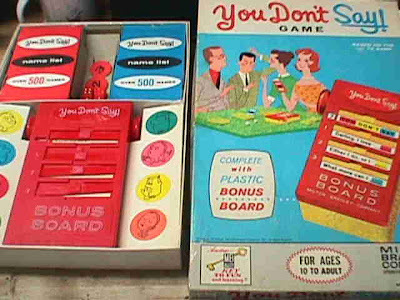 It even has one of those familiar, "I asked you not to tell me that!" lines that were common over on Get Smart. 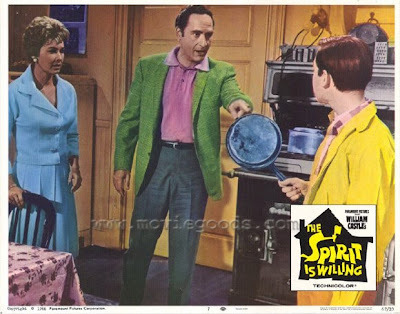 Well, I feel like posting some obscure, and certainly failed, sixties sitcoms today. 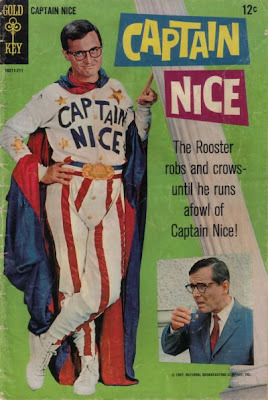 Here's Jerry Van Dyke in the first of today's three kooky duds. 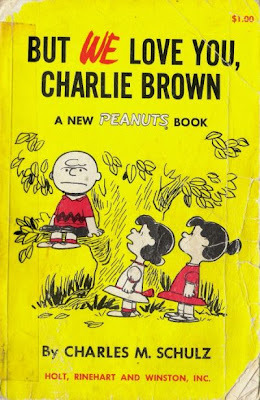 Before the feature-length, animated, theatrical release A Boy Named Charlie Brown was released in 1969, a live-action documentary showing a day in the life of Charles Schulz was made with the same name. Here's a five minute sample. Art Carney's first television gig! Here's a nice solid chunk of The Joe Pyne Show. 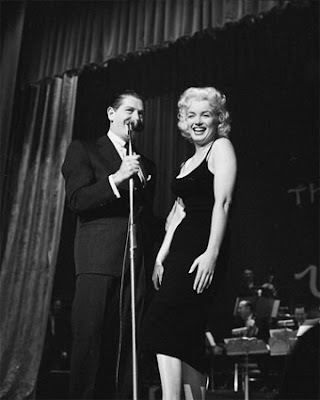 The program has been showcased on Classic Television Showbiz twice before, and if I had access to more of this footage it would appear as often as possible. Always fascinating, combative and generally reactionary, you gotta hand it to Pyne. He was brave enough to bring on some very articulate people with totally opposing viewpoints and gave them a forum. Although he may have been utterly rude to them - he was generally rude to everyone. Compare this to a Bill O'Reilly today who is rude to a Phil Donahue but polite and complimentary to an Anne Coulter. Or a Glenn Beck who simply would never have anybody as far to the left on his show as Pyne has here. There are three notable things about this episode of To Tell the Truth and no, the fact that host Bud Collyer used to play Superman on the old radio show isn't one of them. The questioning revolves primarily around Okefenokee Swamp, which is the location where Walt Kelly's legendary Pogo comic strip took place. 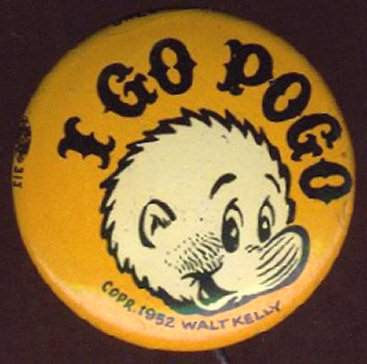 Pogo is mentioned several times, mostly by the two comedians on the panel, Orson Bean and Tom Poston who appear to be big fans of the great satirical cartoonist's work. Secondly, the real such and such sings a song at the end of the game titled Swamp Country. The obscure country-folk tune was used as the title track for a trashy drive-in moonshine exploitation film of the same name. The incredibly amateurish 1966 film is a great piece of junk and the infectious theme is played throughout. It has been released on DVD by the fine company Something Weird Video. Lastly, one of the contestants playing the game is the not yet famous film critic Rex Reed! 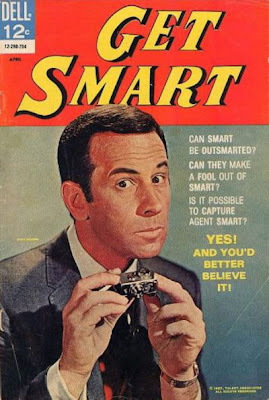 Here is the entire episode entitled One of Our Olives is Missing from Season Three of Get Smart. 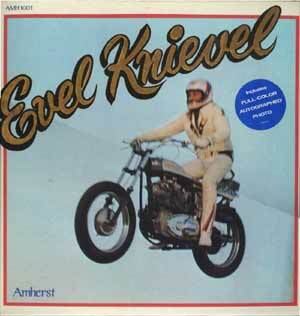 Also go to this podcast and scroll to the 13:30 mark to hear the 1974 LP Evel Knievel, featuring songs about Evel Knievel and poetry written and recited by the man(!). Listen to the two LPs pictured here, in their entirety, both recorded live at the legendary Sands Hotel, by clicking here. 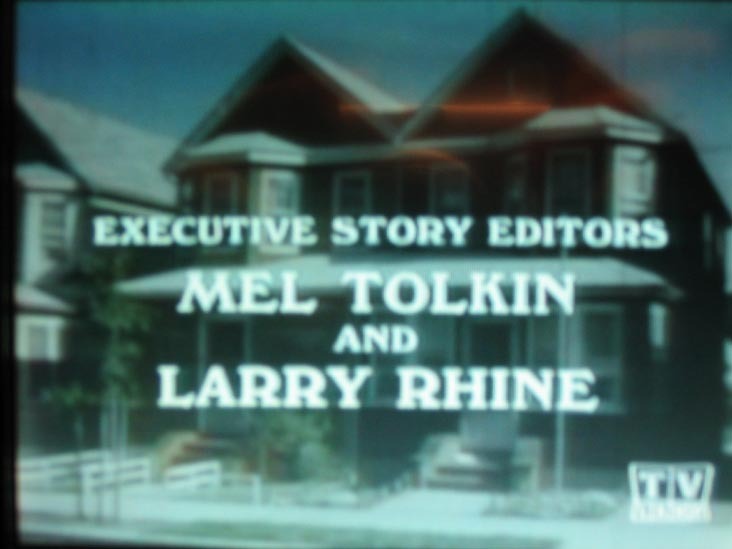 Tolkin's writing career spanned the gamut of American television. Watch Tolkin talk about that career in detail over here. 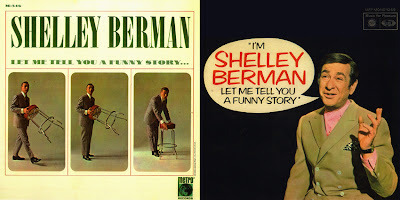 Go here and watch some footage of Shelley Berman at home, from an upcoming documentary named Compass. 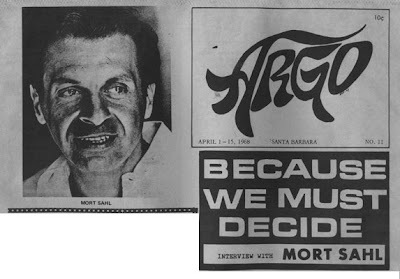 You need to skip to the final twenty minutes of this episode of Charlie Rose to watch an interview with Mort Sahl. Sahl sadly endorses Alexander Haig and Henry Kissenger(!) in this segment. Overall, it really isn't that great of an interview, but Sahl footage on the internet is very limited. 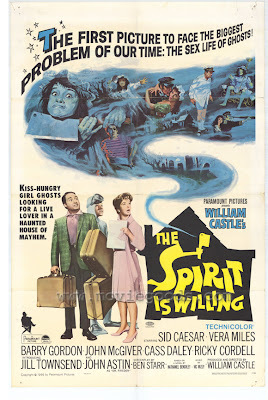 Shock gimmick master William Castle made a handful of horror-comedies in the nineteen sixties including a remake of The Old Dark House starring Tom Poston and this film starring Sid Caesar. Great character actors appear like John Astin, Jesse White, Harvey Lembeck, Nestor Paiva and Doodles Weaver. 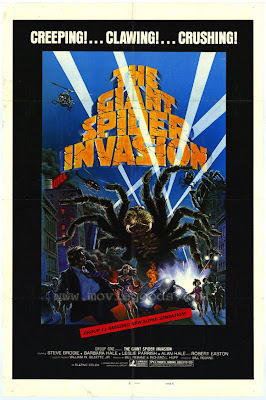 Not only did the star of The Addams Family, Astin, appear, but Vic Mizzy, best known for composing the theme song to that sitcom, did the soundtrack of this film. 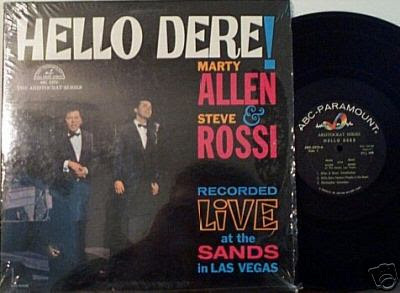 Marty Allen is alive and well, still performing stand-up, primarily on the cruise ship circuit, making a decent, if not rather anonymous, living. 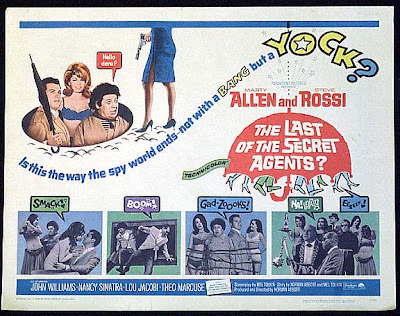 At the height of his fame as part of the comedy team of Allen & Rossi and their string of comedy LPs and appearances on The Ed Sullivan Show (including the episode that had The Beatles play the program for the first time) the boys made this awful film. 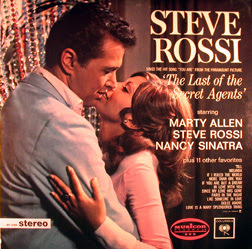 That's Nancy Sinatra singing the title theme.